The skinks are a group of semi-burrowing lizards that mostly have a smooth skin with the soft part of each scale formed over an internal bony plate. They have a vast distribution reaching all continents, particularly in the tropical areas. 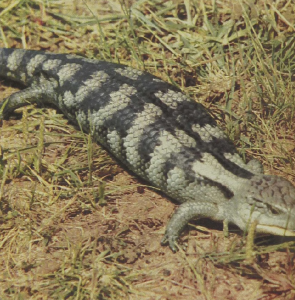 The group is so enormous that it has been recently suggested that there are actually four subgroups of skinks that are only superficially related. 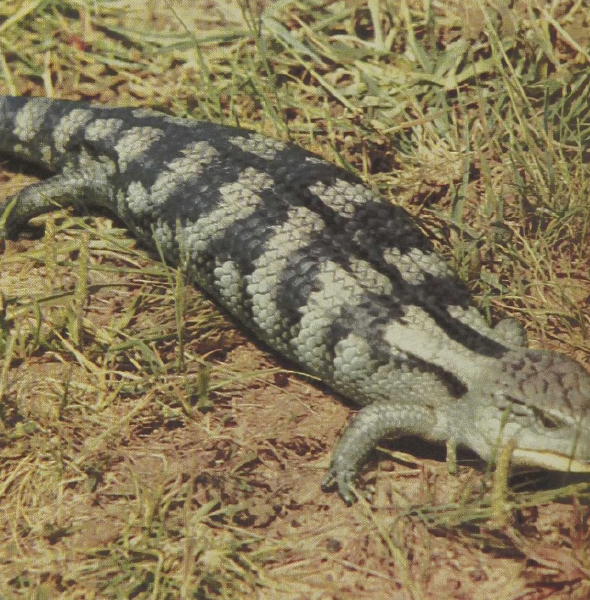 The Blue-tongued Skink of Australia reaches lengths up to 20 inches. While it is quite sizable, it is small compared to the giant skink of Madagascar, which became extinct about 300 years ago. It is a good hunter of snails and insects and also eats fruits. It is much more active than would appear from its sausage-like surface shape. Like most skinks, it is a diurnal animal. Females give birth to six to 20 live young.